冷镦钢系标准件制造行业所需的主要原材料，产品标准为GB/T6478—2001，用来制作各种规格的螺栓、螺帽、螺钉等工件。此钢种由于冷镦加工过程中变形量大，要求钢中硫、磷等含量低、杂质少，加工性能和机械性能良好，轧制公差尺寸精确。我公司已能生产出满足冷镦用途的冷镦钢盘条，生产的ML08、ML35、ML40Cr规格为φ5.5mm～φ16mm。As the main raw material needed by the standard pieces manufacture industries, the cold heading steel, standard executed is GB/T6478—2001, is used to make work pieces in every specification such as bolt, screw, nut etc. Because of the large deformation in the process of cold heading, the steel grade is required to have less content of sulfur and phosphor, less impurity, excellent machining and mechanical performances and accurate rolling tolerances. 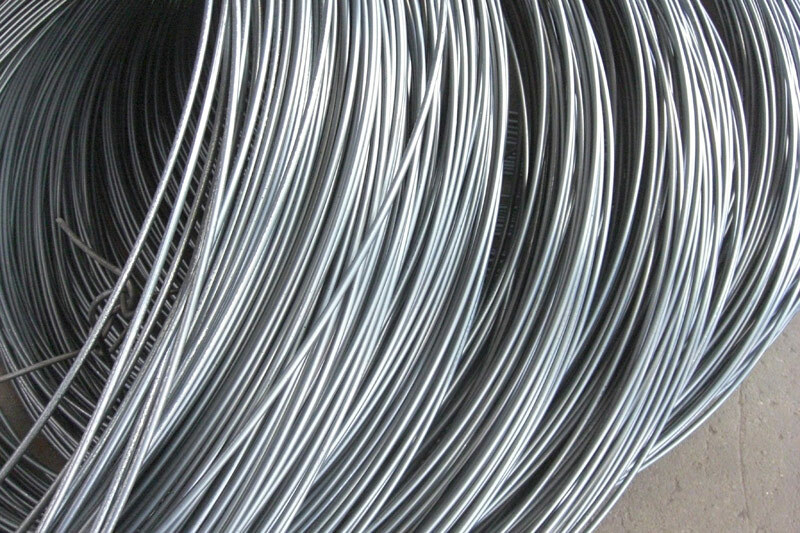 Our company already could produce the cold heading steel wire coil for cold heading in grade of ML08,ML35 and ML40Cr with diameters range of φ5.5mm～φ16mm.